Interlibrary Loan and UBorrow Services. Daily courier service on weekdays for books requested from FSU. Laptops and MacBooks available for 4 hour checkout. 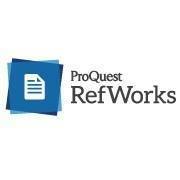 Try RefWorks! An online citation management tool to help keep all of your research in one place. Study and writing carrels are private spaces where you can study or write. There are 20 set aside to be checked out for an entire semester; priority is given to doctoral candidates in the writing phase of their program.